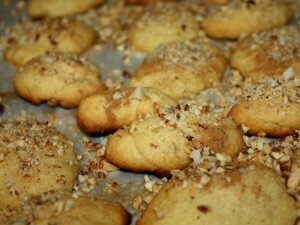 This is the last recipe I made for the Greek Bazaar last weekend. 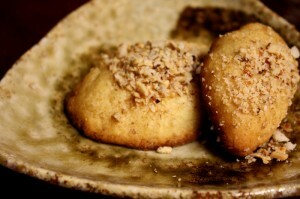 As the third new Greek recipe in as many days (Paxamathia and Halva), this is probably my favorite! It’s a two-step process so be sure to have several hours to try this one. These cookies are soft and covered in honey, cinnamon and nuts. 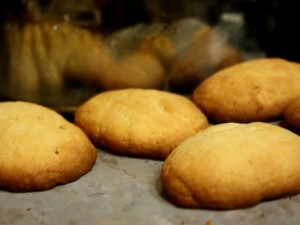 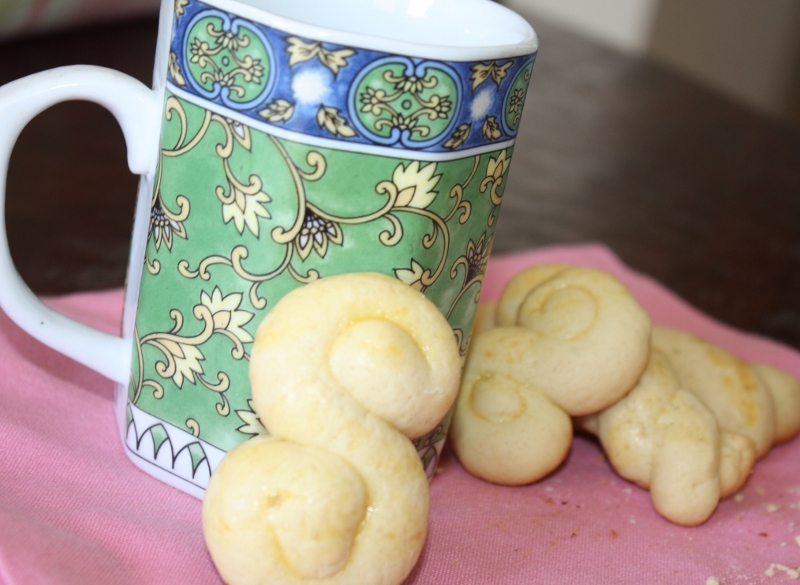 A classic Greek cookie! 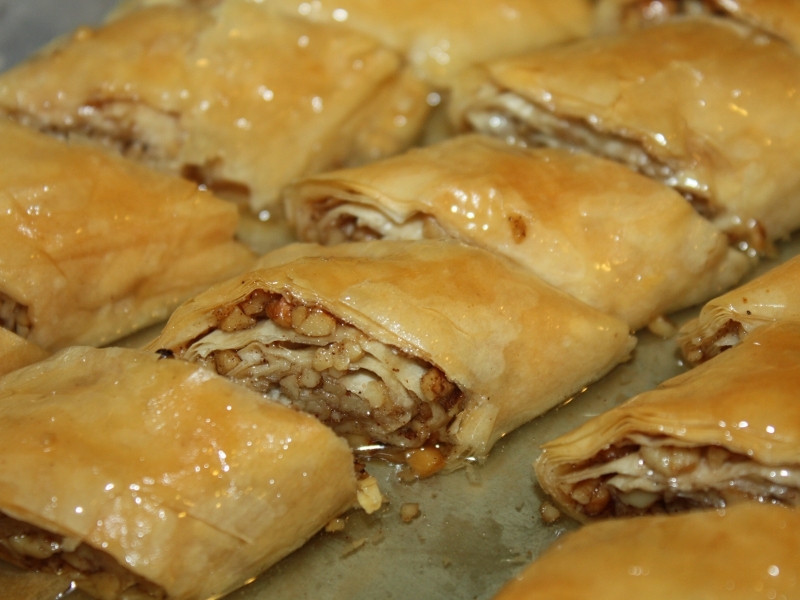 Adapted from Cooking Greek for Tulsa! 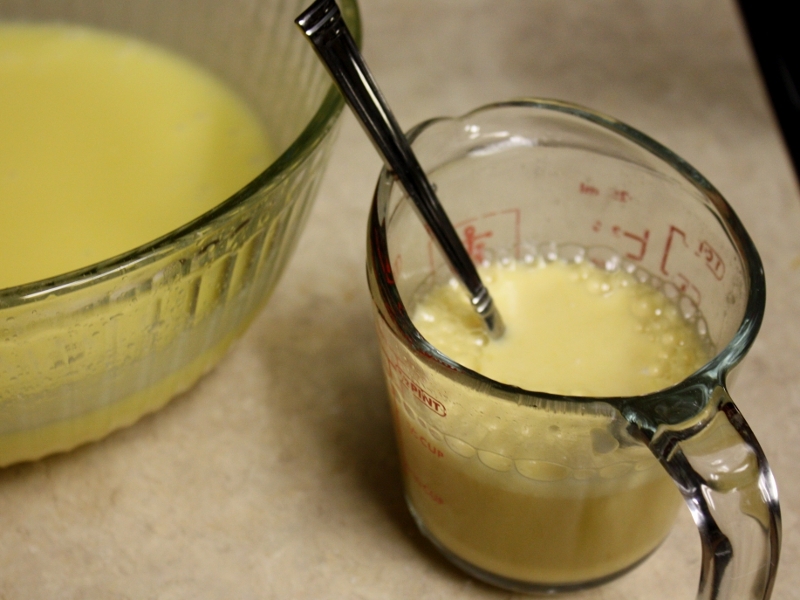 Melt butter and cool then mix with sugar and eggs with an electric mixer for 5 minutes. Dissolve baking powder, baking soda and vanilla into orange juice. 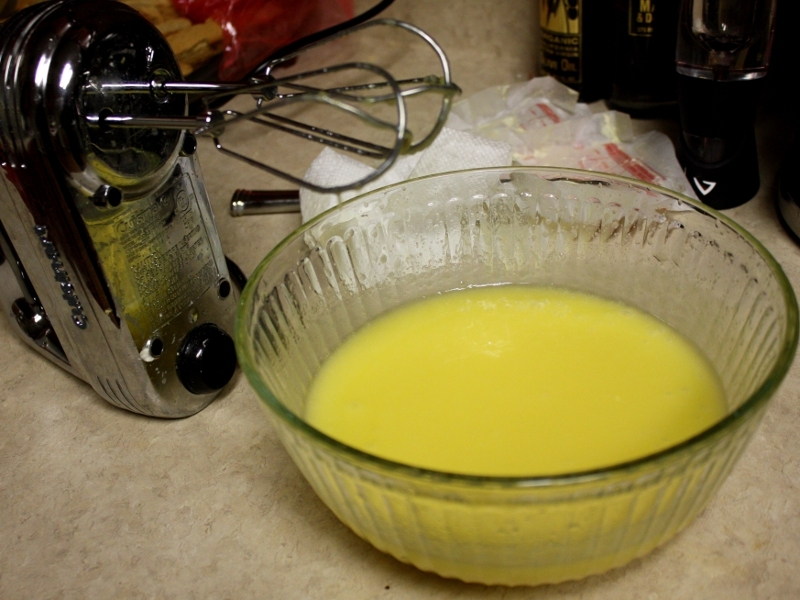 Mix immediately into butter mixture. 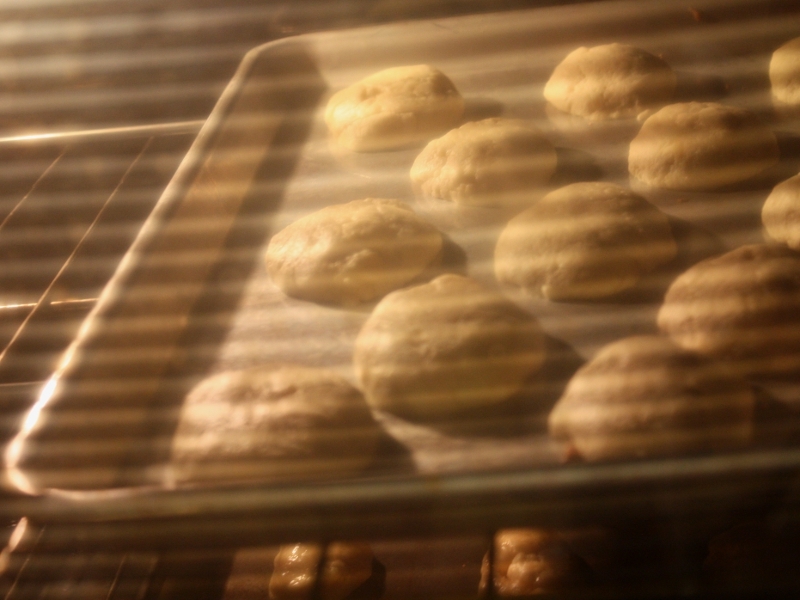 Add flour until a soft dough is formed. 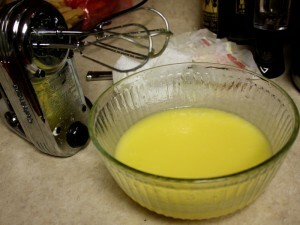 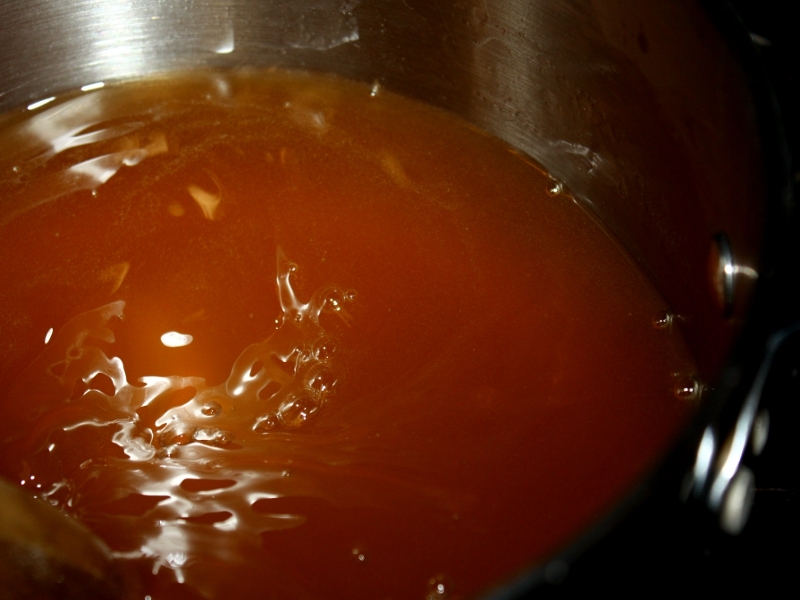 (Can start with electric mixer but will need to use a wooden spoon around 4 cups. Shape cookies into 2” ovals on an ungreased cookie sheet and bake for 20 minutes or until brown. 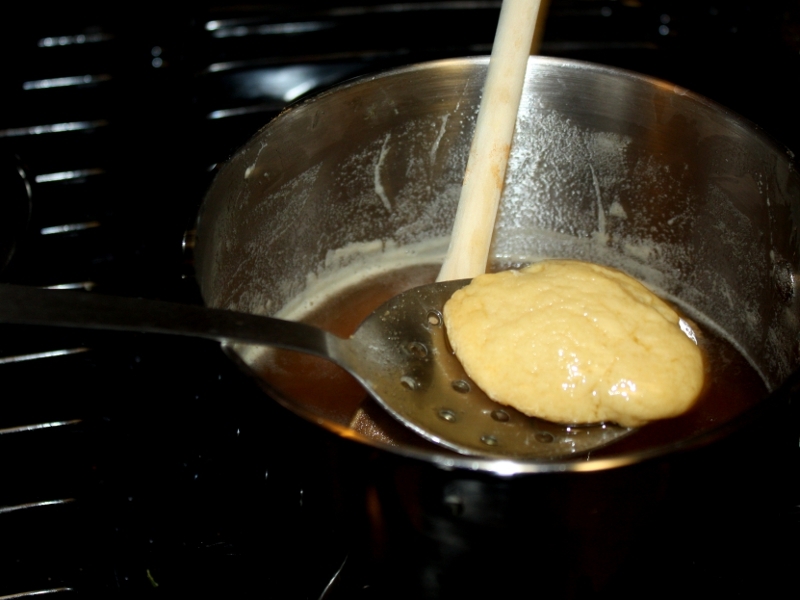 When cookies are cool, boil honey and water. With a slotted spoon, dip cookies into syrup. 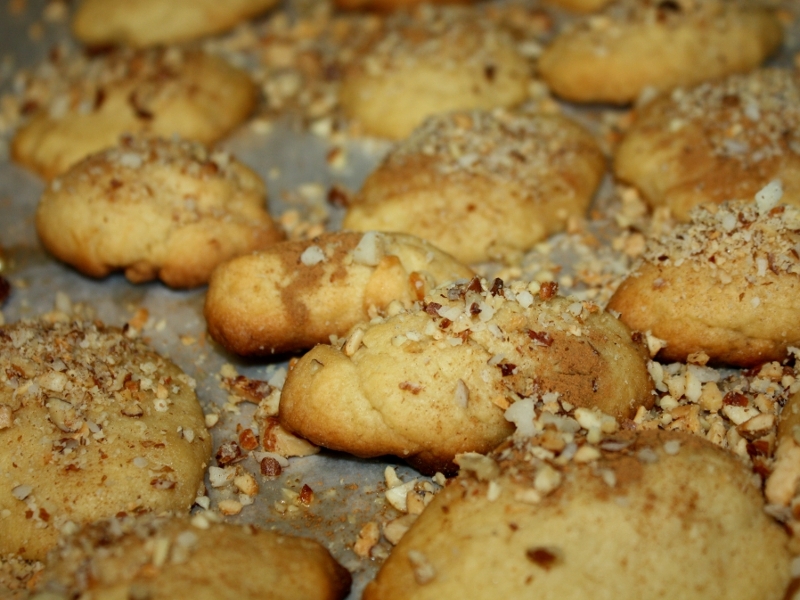 While still wet, sprinkle with nuts and cinnamon.